The opening lines of "Shooting For The Stars" came from a conversation I had with my friend and mentor Townes Van Zandt on December 16th, 1994 about my pal (the legendary late comedian) Bill Hicks," says veteran Austin-based songwriter and Texas Music Legends Hall of Fame inductee, Stephen Doster. "It would have been Bill’s 33rd birthday that day," he remembers. “Many of the songs on this record are speaking about friends of mine that have passed, but taught me a lot while they were here,” Doster explains of "New Black Suit" (Atticus Records, Aug 25th), his second album after an 18-year release hiatus that ended in 2014 with the comeback album "Arizona," which went on to be described as a “masterpiece” with “one charmed melody after another” by the Austin Chronicle. “A record can magically open doors for you sometimes,” Doster says. “'Arizona' followed me to England, Scotland, Africa, and to many stages in the U.S. that I had never played before.” When it eventually brought Doster back to Austin, he was emphatic about bringing the same group of musicians together again for the follow-up. “I will always be grateful we were able to get it done,” Doster says, alluding to the practical impact that the album’s subject matter of friends who have passed can have. "New Black Suit" poignantly includes some of the last recorded work of legendary Austin session bassist and friend to many, George Reiff, who lost his battle with cancer on May 21st, 2017. Doster has dedicated the album to Reiff. “George was having major surgery prior to these sessions, but when I heard he was recuperating better than expected, I wrote and said I’d be remiss if I didn’t ask him to be on the follow-up record,” Doster remembers. “I can only hope his family and friends will find pleasure and solace in hearing him playing with so much drive and eloquence. For me, this is the most exciting and meaningful musical experience I’ve ever been a part of.” In addition to Reiff (Joe Walsh, Dixie Chicks) on bass, "New Black Suit" again features Dony Wynn (Dr. John, Robert Palmer) on drums and percussion, and Kevin Lovejoy (Spoon, John Mayer) on piano, organ, and keyboards accompanying the vocals and guitar work throughout from Doster. The revelatory playing and production feels like the friendship that permeates the listening experience. Despite the recurring lyrical theme of loss that is woven throughout the album, "New Black Suit" isn’t a downer. Its songs serve more as loving tributes and celebrations of their subjects. 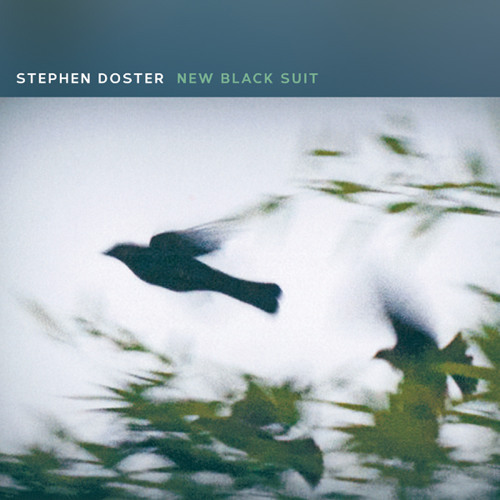 "New Black Suit," the latest album from Stephen Doster arrives via Atticus Records on August 25th, 2017 preceded by the single “Shooting For The Stars.” +++ Over the course of his long and varied career, Austin-based songwriter and Texas Music Legends Hall of Fame inductee, Stephen Doster has worked with Willie Nelson, Dr. John, Stevie Ray Vaughan and Double Trouble, Joe Cocker, and Nanci Griffith among many others. More recently, he has enjoyed watching the rise to fame of Grammy Award-winner Maren Morris, whose debut album, "Walk On," was produced by Doster. "Walk On" contains Morris’ version of the Doster song “Barrelhouse Blues,” in addition to the title track, which she co-wrote with Doster.